Our family enjoyed a wonderful weekend as we marked another State Park off our list with a camping trip to Elmore State Park. The first official weekend of summer offered us a little of everything weather-wise. We had a beautiful moon, some sunshine, warm temperatures and of course, a downpour which seems to be the norm this year. We arrived on Friday evening to a lovely campsite. Clean and well-kept, we could see why Elmore was voted the Park of the Year! All the kids wanted to do, of course, was head down to the lake. Much to their dismay, setting up camp had to come first. They did help out (as much as little kids could) with setting up – things like unrolling sleeping bags and therm-a-rests. The second all that tedium was done, however, we were off to the lake. We were going against traffic since at this hour, most people were headed to their campsites for dinner. Welcome back to Picnic in the Parks. For this edition, we visited Mt. Ascutney State Park in Windsor, VT. There are tons of amazing things to see and do at Mt. Ascutney. 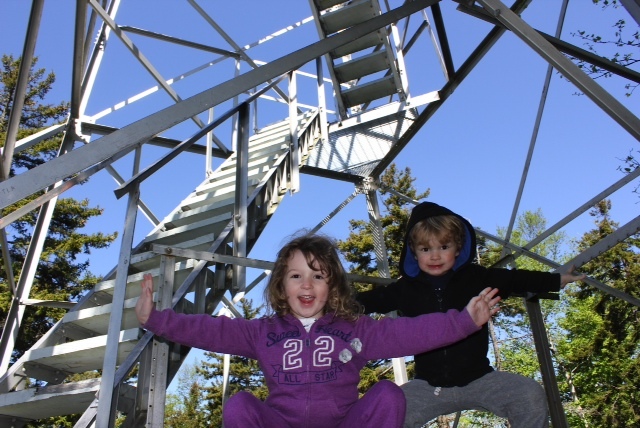 For example, at the summit there is an observation tower to climb and get a wonderful view of the surrounding area. There is also an area to launch your hang glider. For those of us who are less adventurous, you can pack a picnic and dine at one of the many scenic overlooks! We decided to grab our picnic supplies at the Brownsville General Store in (of course) Brownsville, VT. We chose one of the specialty sandwiches from the deli, a peanut butter bar made by the Woodstock Cookie Company, some chips made by Madhouse Munchies from South Burlington, VT, and a couple local sodas. Memorial Day Weekend kicked off our 2013 Vermont State Parks season. And what a kickoff it was, for those of you who recall – cold, rainy (snowy, if you live in Jay and some other places) and generally not picnic conducive. Mother Nature granted us some reprieve, however, giving us a lovely day on Monday, although still somewhat windy, as I was to experience on our first State Park visit of the season. 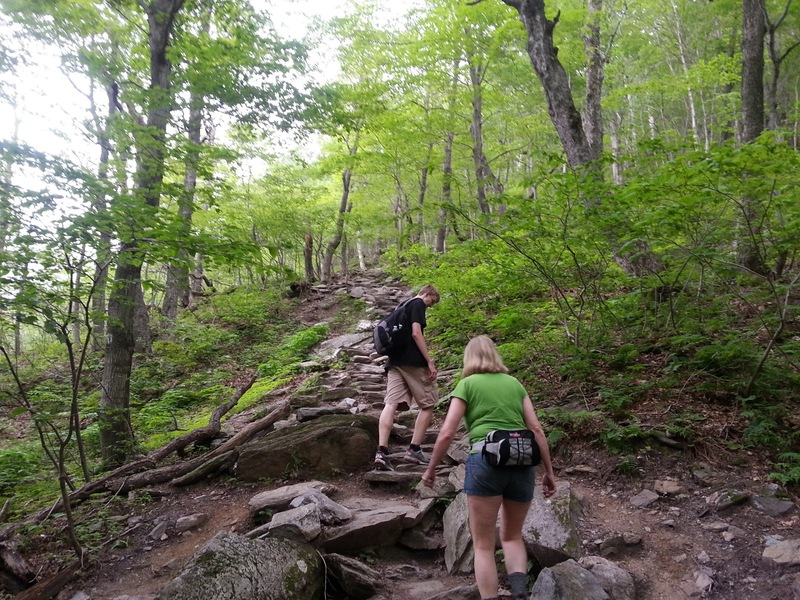 For this (Hikers’) edition of Picnic in the Parks we visited Smuggler’s Notch State Park. On the way to the park we stopped at the Stowe Mercantile for our picnic supplies. After greeting the local wildlife, we went inside to peruse and sample their snack selection, including their great candy bar. They also have tons of Vermont gifts. For our picnic we selected some mixed nuts, Gringo Jack chips with Stowe Mercantile spicy bean dip, and of course some candy. 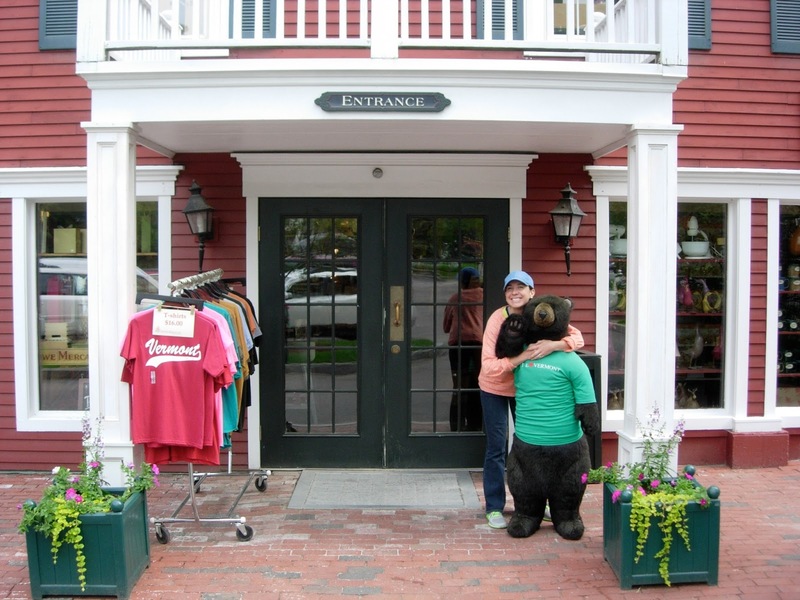 The Stowe Mercantile is right in the center of Stowe and about 6.5 miles down Route 108 from the Smuggler’s Notch State Park. 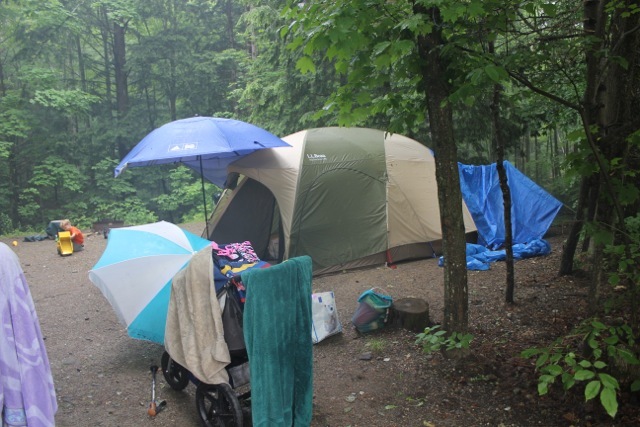 The park has several great tent and lean-to campsites. Stop by the Ranger’s lodge for directions to your site and the access point for the trail leading to the Mt. Mansfield hiking trails. The day was brimming with beauty up until – and even after – the storm rolled through Smuggler’s Notch this Sunday. My mother, brother, and I absconded to Lamoille County in our beloved and boxy neon orange Scion. We were armed to the teeth with apples, cheese, trail mix, water, and bug spray. The fanny packs were loaded and secured, our boots tied tight, and our trek up the mountain to Sterling Pond was underway. 1.2 miles to the top, 1.2 miles back down. Short, but not so sweet. A vertical climb of nearly 1000 feet awaited us. But we could handle it.